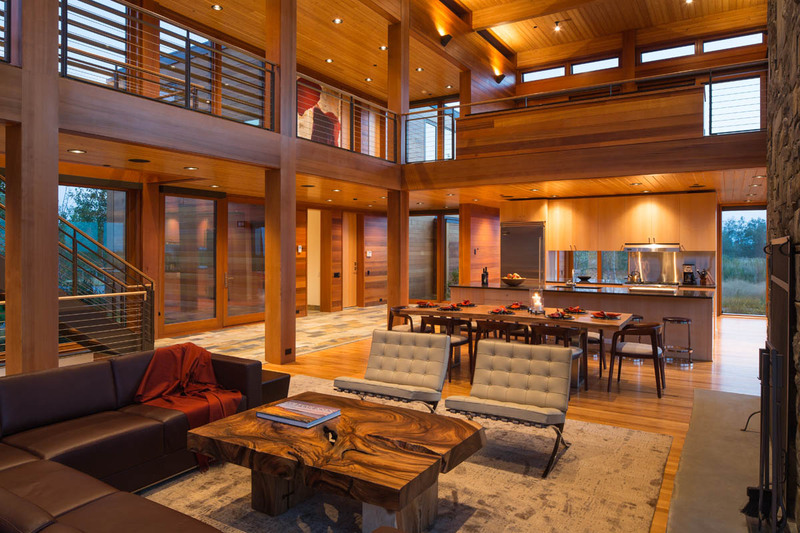 This truly modern home, designed by the Nagle Hartray Firm of Chicago, is a stunning combination of wood and glass with clean lines and a spacious ambiance. Western red cedar siding, Spanish cedar windows with bronzed cladding and a chimney built of local stone connect the home to its rugged mountain setting. Bold contemporary style complements the modern infusion of the Western landscape. Additionally, the home maintains a high standard of energy efficiency despite the expansive windows and intense conditions of Wyoming weather. The Minimalist Mountain Home was featured in Home & Architectural Trends Magazine, and an interview about the home can be found here.